Children's Healthcare of Atlanta, the largest healthcare provider for children in Georgia and one of the largest pediatric clinical care providers in the country, will join McDonough, Georgia-based Active Pest Control in sponsoring the NASCAR Camping World Truck Series race at Atlanta Motor Speedway on Saturday, Feb. 24. The Active Pest Control 200 Benefiting Children's Healthcare of Atlanta will cap off the only same-day, same-track doubleheader on the 2018 NASCAR national touring series calendar. "We are thankful to Active Pest Control for including us in their sponsorship of this exciting event benefiting Children's," said Scott Hodoval, vice president of the Children's Healthcare of Atlanta Foundation. "As a nonprofit, we rely on the generous donations of our community in order to meet the needs of the growing pediatric population in Georgia. Thanks to community partners like Active Pest Control and events like the NASCAR Camping World Truck Series race, we are able to achieve our mission of making kids better today and healthier tomorrow." With three hospitals, Marcus Autism Center and 27 neighborhood locations, Children's Healthcare of Atlanta has been 100 percent dedicated to kids for more than 100 years. A not-for-profit organization, Children's is dedicated to making kids better today and healthier tomorrow. Children's offers access to more than 60 pediatric specialties and programs and is ranked among the top children's hospitals in the country by U.S. News & World Report. Active Pest Control first signed on with Atlanta Motor Speedway in 2016 as the sponsor of its Monster Energy NASCAR Cup Series qualifying night before stepping up to sponsor the Camping World Truck Series race at Atlanta's annual NASCAR weekend last March. By joining Active Pest Control, Children's Healthcare of Atlanta becomes the third entitlement sponsor of Atlanta Motor Speedway's rare Saturday double-feature. 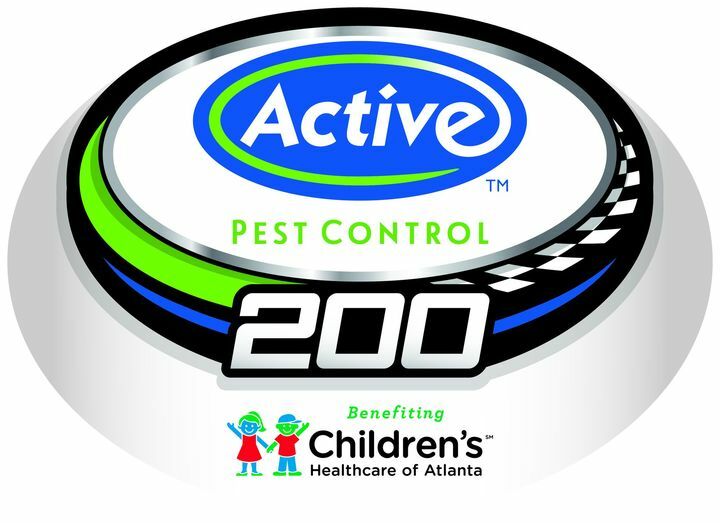 "The Active team is thrilled CHOA is joining us as sponsors of the NASCAR Camping World Truck Series race at Atlanta Motor Speedway," said Tony Carder, Active Pest Control CEO. "Partnering with CHOA is a small way for Active to show our support for the community and the good work the CHOA team does for the children of Atlanta every day." Family-owned since its inception in 1985, Active Pest Control is a full-service pest control, termite, wildfire removal and exclusion, attic insulation and crawlspace encapsulation company serving more than 40,000 customers daily in both Georgia and Houston, Texas. For more information or to purchase tickets to the 2018 Atlanta NASCAR weekend today, contact the Atlanta Motor Speedway ticket office at (770) 946-4211, (877) 9-AMS-TIX or visit www.atlantamotorspeedway.com.